Just a quick blog post about a small advertising campaign I noticed by Tango the other day featuring Ron Burgundy (Will Ferrell)! 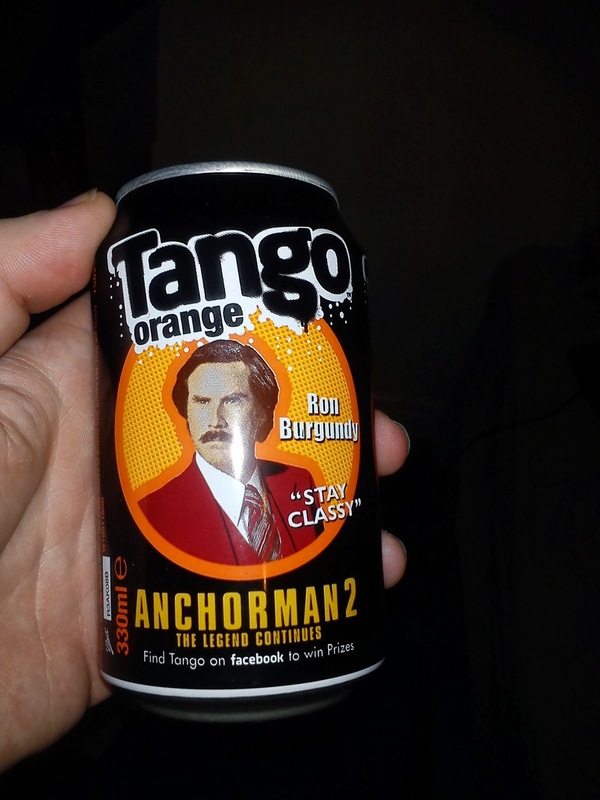 As some of you may know, the much anticipated Anchorman 2 will be released in Cinemas this December in the UK, and one of the brands to join up with Ron Burgundy himself is tango!! "Anchorman 2: The legend continues", has attracted so much attention, with several trailers being shown across you tube thousands of twitter followers , and being the sequel to the multi-million pound making "Anchorman: The legend of Ron Burgundy", its bound to have you bad laughing! Featuring actors such as Steve Carell from 40 year old virgin & The Office, Will Ferrell and many more, how could you not love this film? 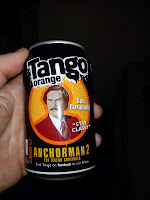 As you can see from the picture located to the right, Tango have positioned your favourite news anchor Ron Burgundy onto their cans and bottles. BUT the question is, does "celebrity endorsement" such as this work on products such as tango? A convenience good with very little too no thinking time to decide whether to purchase the product.... Well usually i would agree with theory in saying that celebrity endorsement is a very good tool for items such as speciality good but not convenience. as I personally would not buy Tango, but just because it had Ron's charming picture on it,I had to snap it up, and I didn't even look at the price!